Where do we even begin to breakdown King James. He is one of the best players of all time, and can do it all. He has multiple MVP awards, both regular season and in the NBA Finals. He has been an all-star in all but one year. 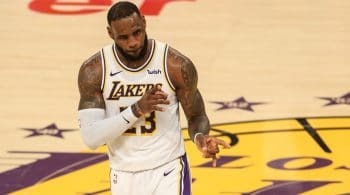 LeBron James has averaged over 25 points in his career, but also seven boards, and seven assists. James is a phenomenal passer, and is another one of these players who can play multiple positions. James was the first overall pick back in 2003, and the rest has been history in the making.